Final Fantasy XIV has got a lot players love since it launched out, but there are some senior players think FFXIV has a lot of shortcomings, so they are looking forward to FFXIV: Stormblood, all of them hope Stormblood will change some shortcomings then they will think it is perfect for Final Fantasy XIV, so today let us talk some shortcomings should be improved in Final Fantasy XIV. For some FFXIV players, the leveling process is just painful. The inundation of countless needlessly convoluted quests just wears me down every time I try and I’ve only been able to make it to somewhere in level 40 range as a result. I’m not one to shy away from a grind, but it’s the particular way that many of the game’s quests are designed that just seem like they’re made to deliberately waste your time in order to pad out the experience. This includes what I’ve experienced in the main story quest line, as well. Honestly, I’d rather have a quest giver just tell me to go kill 3,000 boars instead of run from place to place doing all sorts of menial tasks to complete a single quest. But after one and one trailers of FFXIV: Stormblood were released, I rekindled the hope of my heart, I think there are something I am not satisfied will be solved in new Stormblood. The new Jobs are pretty interesting, as well. True to its history, Red Mage is a sort of hybrid melee caster class, and the mechanic Square Enix has employed to make it all flow well seems like it could be a lot of fun. Basically, you’ll have spells that correspond to separate white and black mana meters and the use of these spells will slowly fill up their corresponding bars. You’ll want to alternate between black and white mana spells in order to keep the meter balanced, which allows you to deal more damage. The meters will eventually fill up and this is where you use your melee abilities to burn said meter back down to zero and repeat it all again. Moreover, Red Mage encourages you to create a sort of rhythm through your spell casting. For every non-instant spell you cast, the following spell is cast instant. Optimally, you’ll want to cast your shorter cast time spells so that you can cast your longer ones instantly. These mechanics sound like they’ll make for an enjoyable rotation and it’s a bonus that the Red Mage’s abilities are pretty damn flashy, too. Besides, there are a number of other neat quality-of-life changes being made with Stormblood that will go a long way to making my experience with the game more enjoyable. For one, you’ll no longer need to level up multiple classes to unlock a Job and even more importantly, you won’t need to level up other Jobs to acquire cross-class skills that are useful to whatever it is you’re wanting to play. Instead, Stormblood will replace cross-class actions with role specific abilities. Tank Jobs will be able to select up to five active role specific abilities from a universal list of Tank abilities, the same goes for melee DPS, and so on. So many new changes in Final Fantasy XIV: Stormblood, do you like all these changes? I think I will love more it after Stormblood launched, maybe I prefer challenging more new tasks, there are novelty funny, I just am looking forward Stormblood coming, hope I could enjoy it rather than feel disappointed. 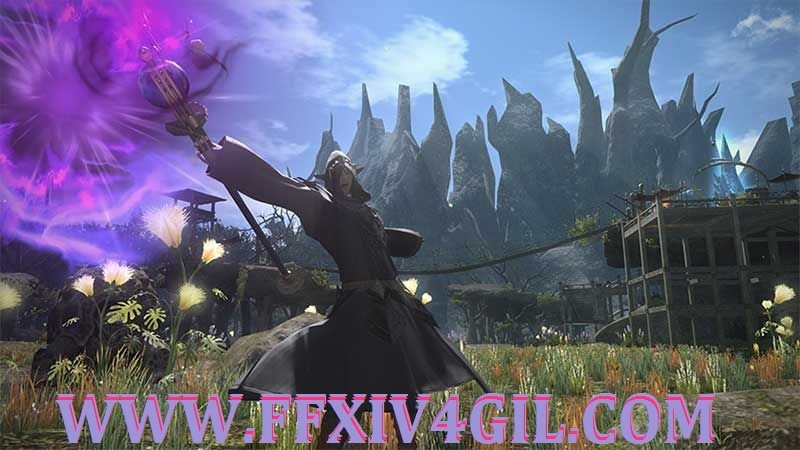 See more latest FFXIV: Stormblood news, please visit WWW.FFXIV4GIL.COM.